I'm very easy to please when it comes to gifts but runner gifts are definitely my favorite! 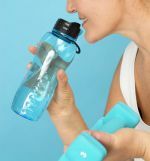 For years, when it comes to birthdays or Christmas, Bill (my husband and running buddy) and I have given each other running shoes, GPS watch, running socks, water bottles and so on, the essential stuff. However now I think it is time to be more adventurous and if you look hard, there are some really cool runner gifts out there. I am a bit of a gambler and this runner box fulfills that quirk in me. I love the element of surprise and knowing that it is always going to be a good surprise. 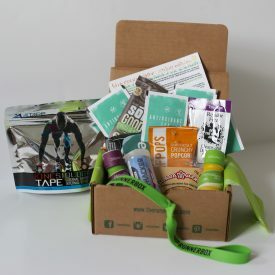 How it works is that you subscribe to The Runner Box and every 2 months you are sent a box of running goodies many of which are new to the market. You can cancel at any time and also get a one off box and gift them to someone. They also provide a Cycle Box and a Tri Box. More info. Born to Run. A book that will really get you thinking and it all starts with a sore foot. In his quest to sort out his running injury, Christopher Mcdougall finds himself in Mexico running with the Tarahumara Indians. It is a fascinating read and if you are interested in history, geography or running and the question of why we run and should we be running at all, then this book will appeal. This non-fictional account is inspiring, interesting and I just could not put it down. 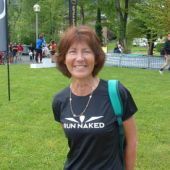 Click here for more of my favorite running books. Lily Trotters Compression Socks. I've had enough of plain old boring socks. It's time to get a bit more funky and to put a zing in our steps. I am a fan of compression socks (here's how they work) and these socks are on my wish list. Pearl Izumi Arm Warmers. I was introduced to arm warmers when they were being handed out free at a race I was competing in. What a great idea! They kept me warm in the very chilly early morning air but once it warmed up, then they were easy to whip of and store in my pouch. From then on I was sold. I really like these as they are fluorescent and I always like to be seen and safe. Road ID. This is a fantastic idea. I currently go running with a small piece of paper in my belt and it has my name and address details on it. This works so long as I take my belt which is not always. The road ID bracelet would solve that problem. Plus it looks pretty cool and it can be cut to size (I have small wrists). More info. I'll add more running gifts here as I find them. What's the best running gift that you've ever received?